Join us for the fourth film of the Pagan Film Series! ***The screenwriter, Pamela Berger, is a Professor of Medieval Art History at Boston College. 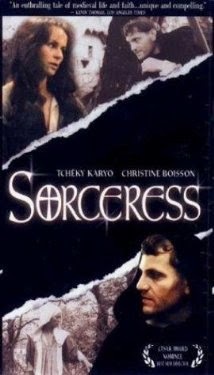 She also wrote a ten-page behind-the-scenes explanation of the film titled Sorceress: The Story and Scripting of the Film. It's available as a .pdf here. You should check it out when you have the time! This series is an opportunity to come together, to watch engaging films, and also to engage each other, to share thoughts and experiences, and to create more of an overlap of the many social circles that exist in this town.